Ro Teimumu Kepa and Ratu Naiqama Lalabalavu. The writing is already on the wall for paramount chiefs Ro Teimumu Kepa and Ratu Naiqama Lalabalavu. The end of an era is fast approach­ing for Na Marama Bale na Roko Tui Dreketi (Paramount chief of Rewa and Burebasaga Confedera­cy) and the Tui Cakau (Paramount chief of Cakaudrove) respectively. It’s time to give way to younger, promising leaders. Without sounding disrespectful to the two chiefs, the 2018 General Election results showed that their time is up in politics. They should now spend more time focusing on fulfilling their tradi­tional responsibilities and obliga­tions. Their decision to put on hold their retirement from and contest the 2018 General Election may not have been a good idea after all. The number of votes they polled indicated a big drop from their sup­port in the 2014 general election. From their traditional subjects it is not a good look. In some respects, it is embarrassing. They should have bowed out of politics on a high and in style. In Ratu Naiqama’s case he was go­ing to retire to let his son, Dr Ratu Atonio Lalabalavu, a medical gen­eral practitioner on Taveuni, stand in the election. Then he changed his mind after Ro Teimumu announced she was con­testing the election. Whether it was purely coinciden­tal or planned, the fact remains here were two chiefs who felt a sense of duty to stand in the election again only to be told by the electorate that maybe their time is really up. In Rewa, for example, Ro Teimu­mu failed to attract the same votes she did in 2014. Tavuya Polling Station, Ro Teimumu polled only 19. In 2014 she got 85. Her nephew Ro Filipe Tui­sawau, who did not contest the 2014 election, won the highest, 67 votes Vutia Polling Station, Ro Teimu­mu only received 28 votes. In 2014, she polled 178. Ro Filipe again won with 118 votes. It indicates the changing of the guard is already taking place even within SODELPA itself. The momentum shift is going in favour of the younger folks in the party. This is replicated across the political spectrum, confirming the emergence of a new order on the political front. At least for Ro Teimumu, she is number three on the party list with the third-highest number of votes behind Lynda Tabuya, a relative newcomer. 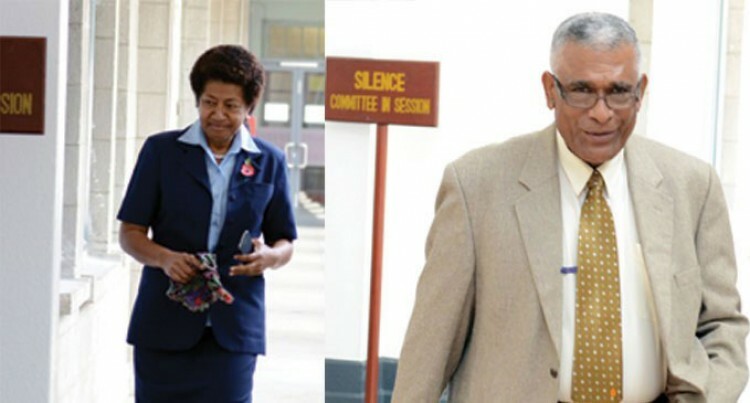 In the case of Ratu Naiqama, he is the last man on the provisional list of 20 likely SODELPA members of Parliament. Those like him at the bottom of party lists are still not entirely safe. Polling today in the remaining polling stations could still change the standings at the bottom end. For Ratu Naiqama, even his son, Dr Ratu Atonio Lalabalavu, polled more than him. Dr Ratu Atonio scored the fifth-highest number of votes for the party. Again it made a definitive statement that it is time for the older folks to give way for the younger politicians. Ratu Naiqama is lucky to be the 20th person on the list. It would have been humiliating if he had failed. He and Ro Teimumu are the last big chiefs likely to return to Parlia­ment for their last hoorah.